Count the shapes. Write the numbers. Write the questions. 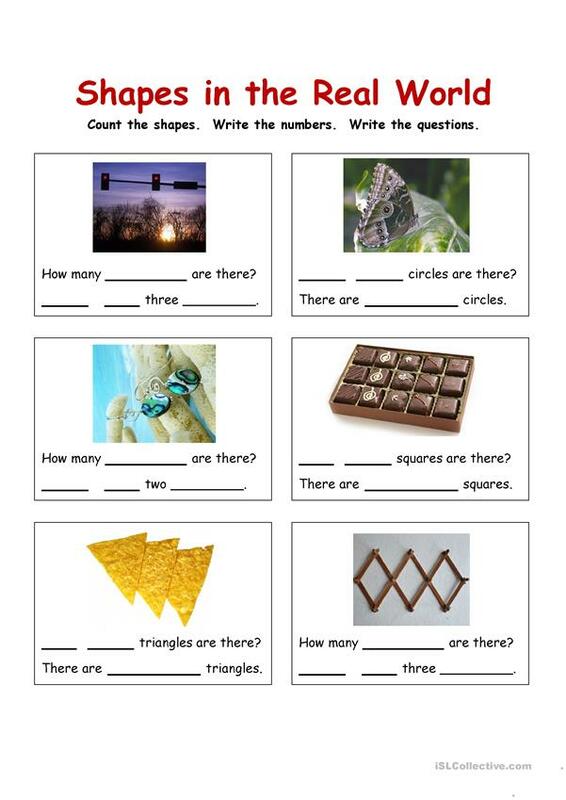 The present printable, downloadable handout is meant for elementary school students at Beginner (pre-A1) and Elementary (A1) level. 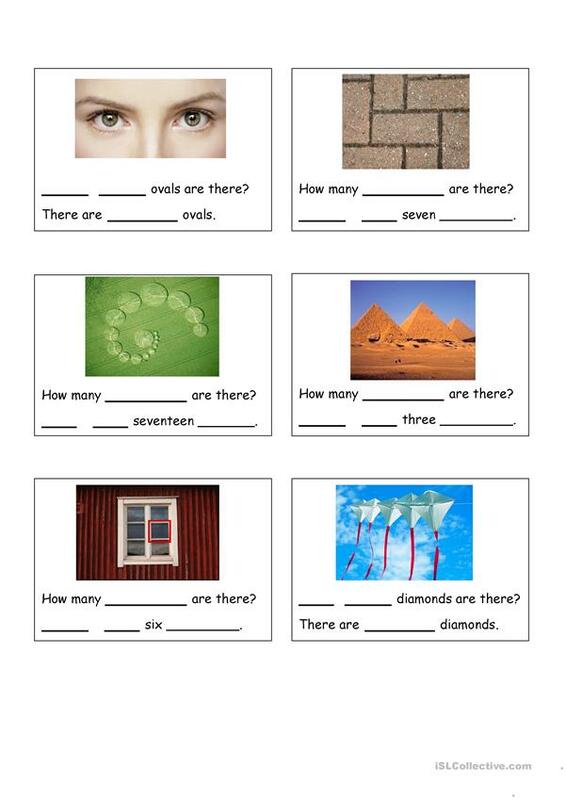 It is a valuable material for enhancing your learners' Reading and Writing skills. It centers around the vocabulary topic of Shapes.